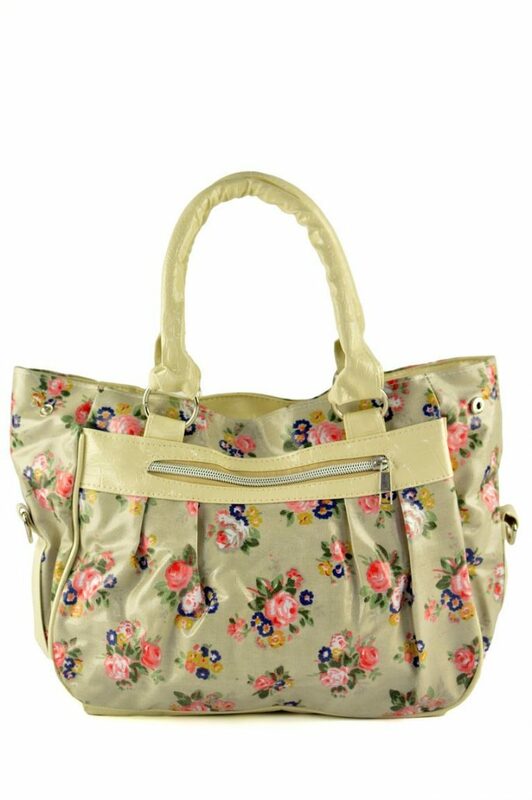 Floral Print Bag. This bag features a floral print design, along with faux crocodile skin details. 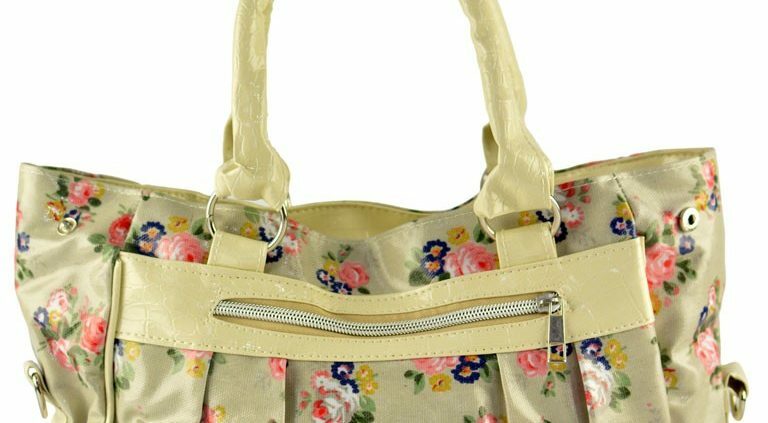 Other features include; adjustable and detachable strap, double handles, one main zip compartment, additional pockets on the inside, two zip pockets on the outside and floral print lining on the inside. Wide Floral Handbag. Brown, Pink and Green Colours Large Envelope Handbag – WHITE.